I love the Crossroads. Set a few blocks from downtown, this area has a Wild West feel. There’s enough grit and wide openness to imagine yourself in a self-sustaining enclave isolated from the glitz and rush of a city, but the tall buildings touching the sky in the distance assure you that everything you need is right here. Along with my sister, we drank at Manifesto and then moved over a few blocks to Martini Corner. We talked about the worst movies my dad took us to as kids – Home Alone 3, Spice World, BioDome. I used a restroom where Al Capone once pissed. A stranger told us the quickest way to navigate through the alley outside of Manifesto after rain began to pour. At the Drop, the owner offered us a plate of their edible cocktails, on the house. Growing up here, I remember people sometimes saying that Kansas City had an inferiority complex. And I think it did at least have an identity crisis. We had some of the trappings of major cities, like professional sports teams, good enough restaurants and shuttlecocks (!). But our downtown was decrepit and worthless, a reverse vampire of a city – when the sun set, everybody disappeared. Restaurants owners were afraid to open, Town Center in Leawood was more chic than anything in downtown, and what the hell was Barney Allis Plaza? We could recite that Kansas City has more fountains than any place except Rome and more miles of boulevard than any place except Paris, but those facts lost their luster pretty quickly. Omaha lingered to the north, growing in population, succeeding in building projects, reminding us that we were only a few steps away from being a Triple-A city. Then in 2003, the great people of Jackson County voted to build the Sprint Center on Grand Avenue. It hasn’t been perfect. An NBA team or an NHL team has yet to move in and probably never will, and the Power and Light District at times attracts a crowd befitting an LMFAO music video. But when I come back to visit Kansas City, I see a changed place everywhere. In constructing the Sprint Center and the Power and Light District, Kansas City proved that it cared, and the attitude spread throughout town. We were sick of second-rate and woke up from our existential crisis. Our city sprung to life. 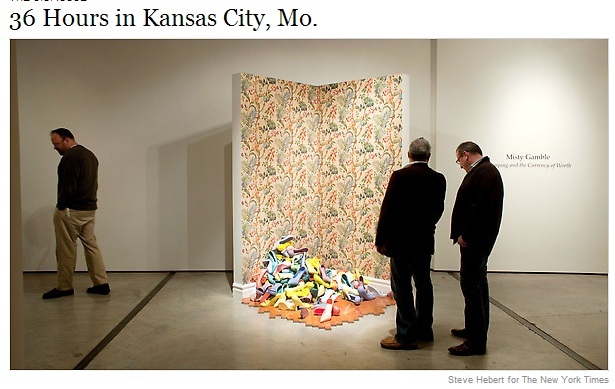 In 2010, The New York Times complimented Kansas City for revitalizing its core while maintaining its grit. Last year, Frommer’s called Kansas City one of the top 10 places to visit in the world. No other U.S. city made the cut. Just this week, the New York Post glowed about Kansas City’s art and nightlife. I’ve always loved Kansas City. I don’t need somebody else’s approval or endorsement to consider my hometown one of the country’s best, worthy of notice and respect and much more than some Midwestern outpost in flyover land. It’s just nice to receive the praise, especially because Kansas City deserves it. Last year, Joe Posnanski wrote a blog about Kansas City in which he discussed how much he enjoyed listening to people talk about their favorite places. He said he loved hearing former Xavier basketball coach Skip Prosser discuss driving into Pittsburgh out of the Fort Pitt Tunnel. Even though shrines to beauty like the Grand Canyon and the Eiffel Tower beckon from afar, we all have our own place that we grip tightly to our heart. Malcolm Gibson, one of my professors at KU who has traveled through Asia, Europe and Africa, for instance swears that the most beautiful place in the world for him is the Flint Hills. This might sound weird, but I think my favorite is the last few minutes of the drive on I-35 from Johnson County toward downtown, the drive we made last night. In high school and during my freshman year of college, my friends and I often took this route to KC BBQ in Crown Center. We’d eat brisket sandwiches, stare like idiots at this chocolate store and discover new ways to infuriate the management of this sophisticated establishment, from trespassing onto a rooftop tennis court to sneaking into the pool at the Westin. This drive becomes special as soon as you see the signs for Rosedale. Sprinkled tightly together on your right is one of the oldest neighborhoods, decaying now but home to the famous arch and dozens of Mexican restaurants. A minute later is this mysterious abandoned building, tall and brown with holes like Swiss cheese. We used to argue about whether homeless people slept there during the nights. As you get closer to downtown, the entire skyline comes into view, from the pylons of Bartle Hall to, now, the Kauffman Center for the Performing Arts. You exit on Southwest Boulevard, and remember the stoplight. Junior year of prom, I skipped right past it, almost crashing my filled-to-capacity Chevy Lumina. A block later, you’re at a real crossroads. On your right, not far away, is Crown Center and Union Station and the Liberty Memorial, the country’s principal monument to World War I. Straight ahead is the best of the Crossroads, filled with thriving bursts of music, food and drink. 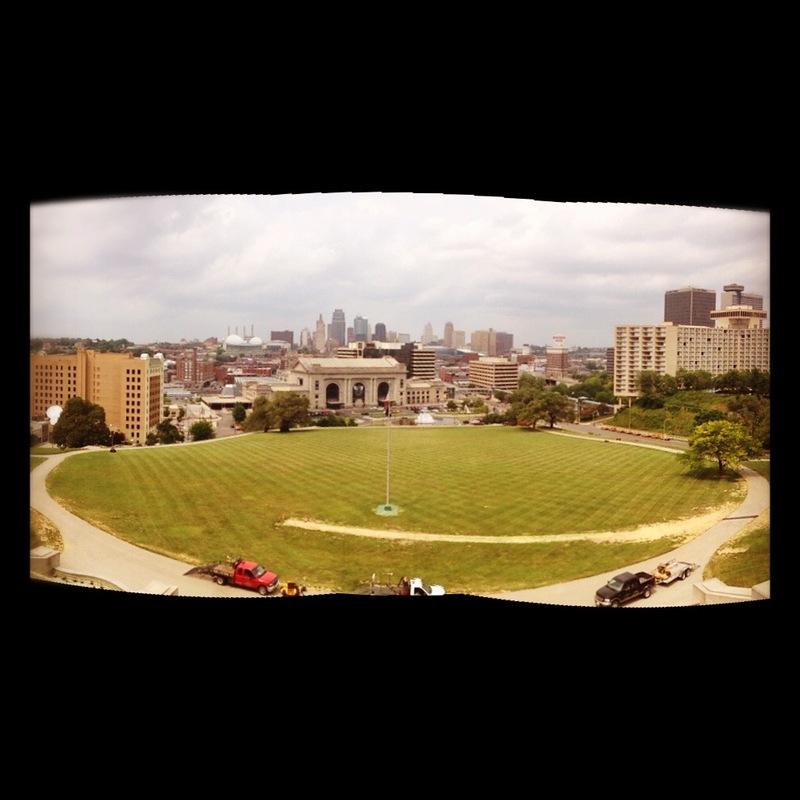 To the left is the road to downtown and all the improvements Kansas City has made in the last decade. Driving this route on a summer night, observing this city from the perfect middle, it feels like you can go anywhere.